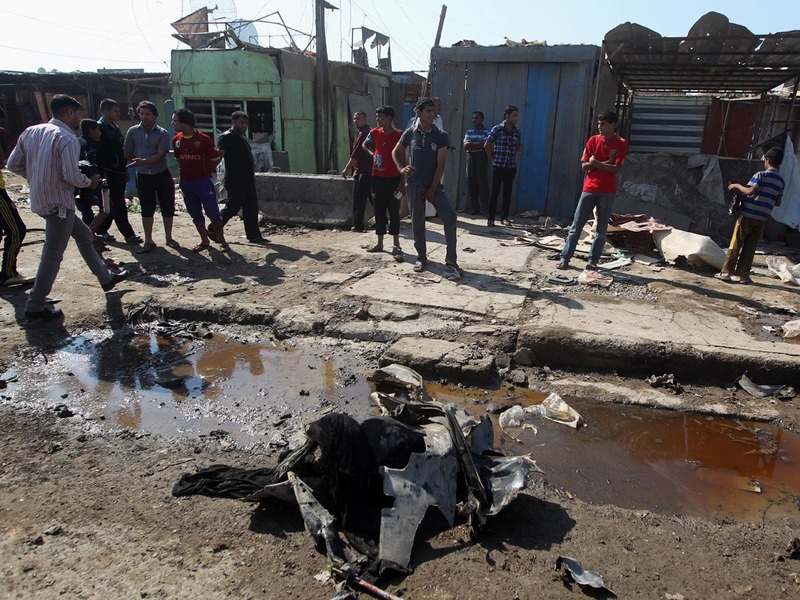 BAGHDAD A bombing near a playground and other insurgent attacks killed 18 people including several children in Iraq on Saturday, challenging government efforts to promote a sense of stability by preventing attacks during a major Muslim holiday. The strikes underscored the difficulties facing Iraq's leadership as it struggles to keep its citizens safe. Authorities have said they intended to increase security to thwart attackers who might use the four-day Eid al-Adha to strike when people are off work and families gather in public places. The deadlier of two blasts in Baghdad struck near a playground and a small market in the neighborhood of Bawiya in eastern Baghdad. Police officials said eight people were killed, including four children. Another 24 people, including children, were wounded, they said. Elsewhere, a bomb attached to a bus carrying Iranian Shiite pilgrims killed five people and wounded nine, according to police. The so-called sticky bomb, hidden on the underside of the bus, detonated as the pilgrims were heading to a Shiite shrine in Baghdad to mark Eid, a major Muslim holiday. Eid al-Adha, or Feast of the Sacrifice, is a major Muslim holiday that commemorates what Muslims believe was the Prophet Abraham's willingness to sacrifice his son Ismail, the Biblical Ishmael, as a test of his faith from God. Christians and Jews believe another of Abraham's sons, Isaac, was the one almost sacrificed. Eid al-Adha, which began Friday, marks the end of the hajj pilgrimage to Mecca. Muslims worldwide typically slaughter lambs and other animals to commemorate the holiday, and share some meat with the poor. Violence has ebbed across Iraq, but insurgents frequently attack security forces and civilians in an attempt to undermine the country's Shiite-led government.